The Patriots are looking to rebound from a tough loss to Seattle on Sunday, and they're going to have to do it down two major offensive weapons. The final injury report, released Friday, has Rob Gronkowski and Chris Hogan both listed as out, and some other key pieces questionable against the 49ers. After suffering a chest injury against the 'Hawks, Rob Gronkowski will take a rest this week. While he's definitely their best receiver, this was a lucky week to get injured. By most accounts, it isn't serious, and the 49ers are a team the Patriots can get by without the All-Pro tight end. 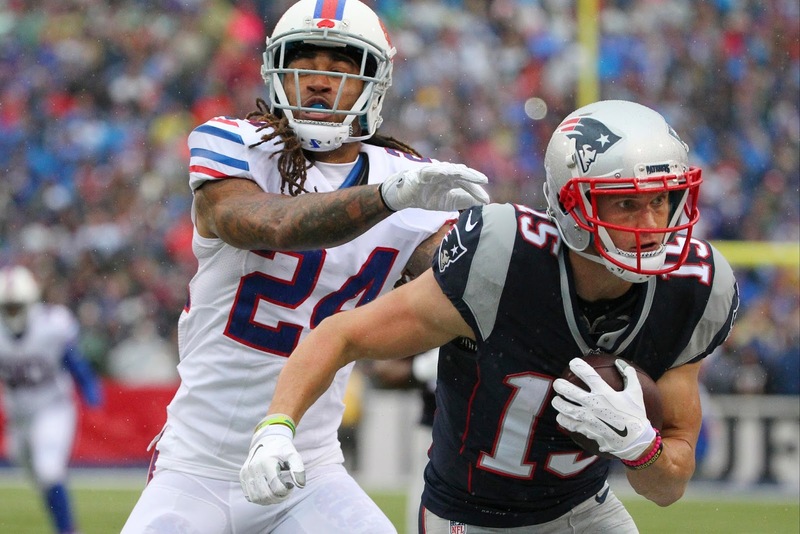 However, it's the combination of him and Chris Hogan that New England will definitely miss on Sunday. Hogan, signed in the offseason to give the Pats a deep-threat presence, was a lethal combination with Gronk working the middle of the field. The former Buffalo Bill could stretch the field outside the numbers, and with Gronk living between the hashmarks, opposing safeties faced a tough decision: take away the 6'6" tight end, or drive on the agile wideout? That won't be a problem for the Niners' Eric Reid, a former first-round pick out of LSU. Thankfully for the Patriots, Hogan suffered his injury before the Seahawks game, so he should be good to go after resting this week. In other news, Julian Edelman and Martellus Bennett are both questionable but should play, and the 49ers have declared their best pass-rusher, Aaron Lynch, out. While the Pats' offensive line held up alright against Seattle, this should give them a big confidence boost. And as a final side note, the offensive line better hold up, because Dion Lewis is back! He wasn't listed on the report, so he should be ready to rock and roll. While the Patriots are missing some of their top weapons, they're also playing one of the worst teams in the league without one of its best defensive players. It should be business as usual as the Pats cruise to a win in Santa Clara on Sunday.